Alex James Edward Romero was born April 22nd, 1938 in Los Sauces, Colorado and passed away November 22, 2018 surrounded by family at his home in Farmington, New Mexico. Alex grew up in Manassa, Colorado and graduated from Manassa High School in 1956, the same year his family moved to Farmington, New Mexico. He then enlisted in the United States Army in 1963 and served in Germany until he was honorably discharged in 1967. In 1966 he married Elizabeth Lobato, his wife of 50 years, and they made their home in Farmington, NM. After her death in 2015, Alex enjoyed a special relationship with his girlfriend Joanna Gonzales until his passing. 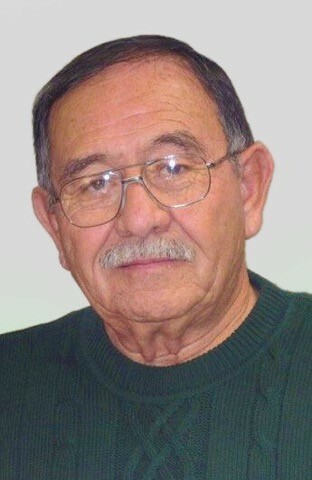 Alex began his career at El Paso Natural Gas Company as a crane operator in 1956 and continued with them until he retired in 1996 as the Warehousing Operations Manager. After retirement he continued being a highly regarded consultant in the oil and gas industry, most noted for his sharp intellect and innovative vision. In addition to his career he was a devoted husband and father to his children and, after losing his own father in an accident at the age of 10, he was a loving father figure for his younger brothers and sisters for the remainder of his life. Alex enjoyed many friendships throughout his life and never met a stranger. He was kind and compassionate and was known for his unwavering integrity. He was dedicated to his friends, who he met with every morning at 5:00 a.m. for coffee. He loved the home he and his wife made for their family and spent many hours working on remodeling projects and working in his beloved yard. He also enjoyed riding his four-wheelers, tinkering with his gun collection and was a passionate member of Sacred Heart Church. He was a simple man who was loved by many, fiercely loyal and loved a great cheeseburger. 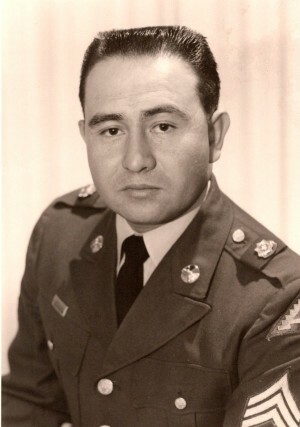 Alex was preceded in death by his parents, Eloisa Perea Romero and Alejandreno Romero, his brothers Alfonso Romero, Vivian Montoya; sister Natalie Montoya and his wife Elizabeth Romero. He is survived by: his children Elizabeth Ley, Joseph Garcia (Elaine Garcia), Ellen Gundlock and Alex J. Romero Jr. (Charles-Marie "Charlie" Romero); his brothers Albert Romero, Steve Romero, Amar Romero and Prax Montoya; his sisters Mary Romero, Darlene Ruybal, Denise Montoya and Celeste Salazar; his grand-children Jaimus Van Kieran, Joanne Berry, Noah Garcia, Michael Anthony Romero, Jennifer Berry, Whitney Francis, Jesse Berry, Alexander Garcia, Joseph Garcia Ill; great-grandchildren Mya Griffin, Jayce Griffin, Sapphire Ashbrook, Noah Berry, Bailey Francis and Nick Mitchell. A rosary will be recited at 9:00 am on Monday, December 3rd, 2018 and a celebration Mass at 10:00 am at Sacred Heart Catholic Church, 414 N. Allen Avenue, Farmington with Father Tim as celebrant. He will be laid to rest at Greenlawn Cemetery 1606 N. Dustin in Farmington immediately following. Honorary pallbearers are Jaimus Van Kieran, Noah Garcia, Michael Anthony Romero, Whitney Francis, Jesse Berry, Alexander Garcia, Joseph Garcia Ill. Funeral arrangements are with Farmington Funeral Home, 2111 W. Apache St., 505.325.2211.